Posted May 13, 2017 by finnfemme & filed under Fashion, Vintage. 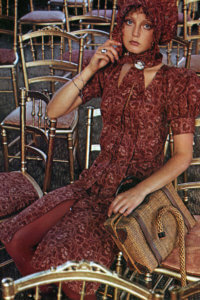 BIBA fashions, designed by Barbara Hulanicki, were all the rage in London in the ’60s and ’70s. 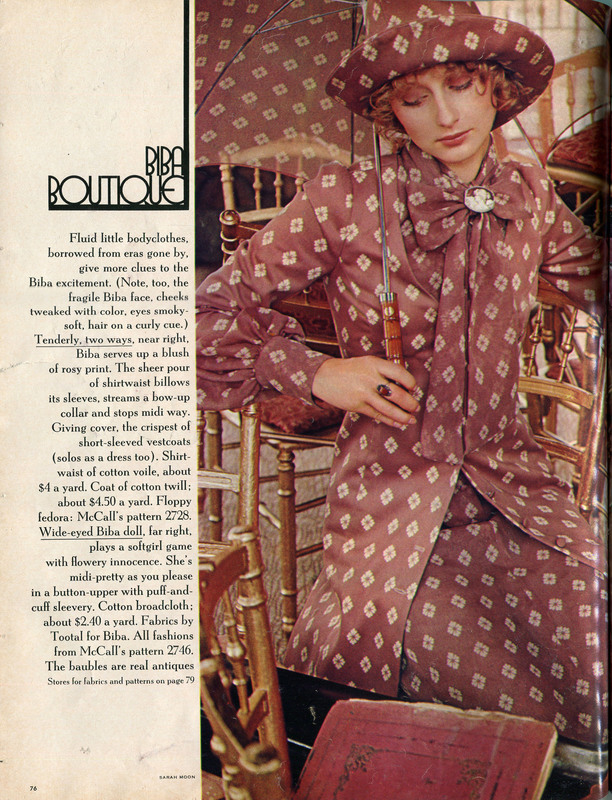 The “Biba Look” or “Dudu Look” was described by Hulanicki as “fresh little foals with long legs, bright faces, and round dolly eyes.” Biba started out as mail-order clothing company, then on to stores, and ultimately to the Big Biba department store. 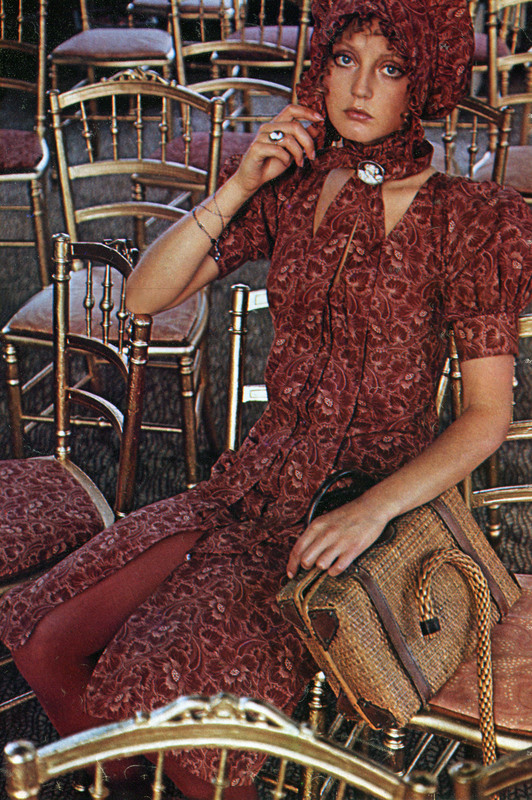 However, Biba remained firmly ensconced across the pond in England. 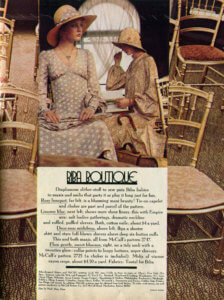 That is until McCall’s sewing patterns offered Hulanicki a licensing deal in 1971, to bring Biba designs stateside. 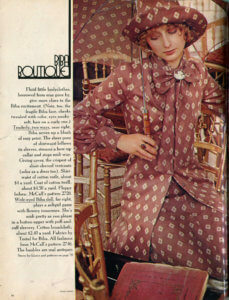 Hulanicki designed four exclusive McCall’s patterns for Seventeen Magazine to celebrate her American debut. 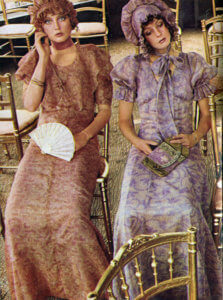 She also designed soft fabrics (Tootal for Biba) to go along with the patterns, that were sold at specialized sewing boutiques. 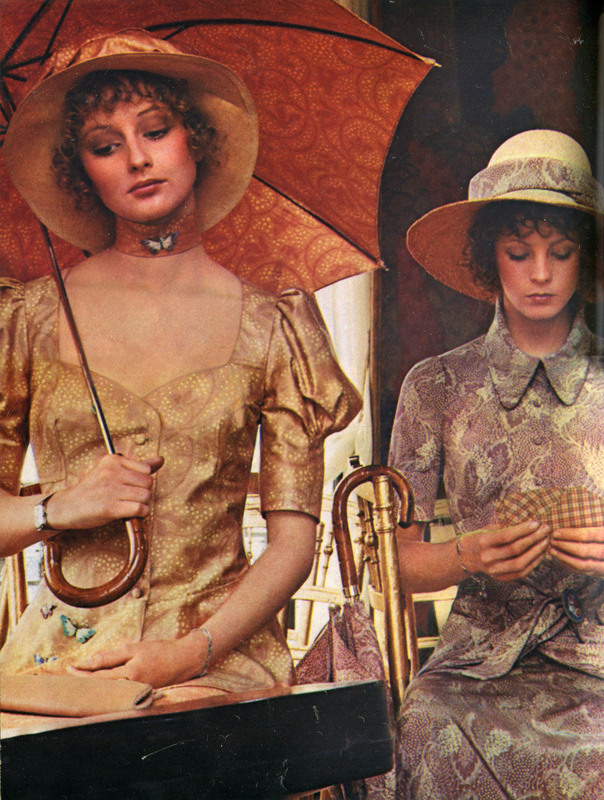 This is the Biba Boutique fashion editorial that featured McCall’s Biba patterns in the January 1971 issue of Seventeen magazine. 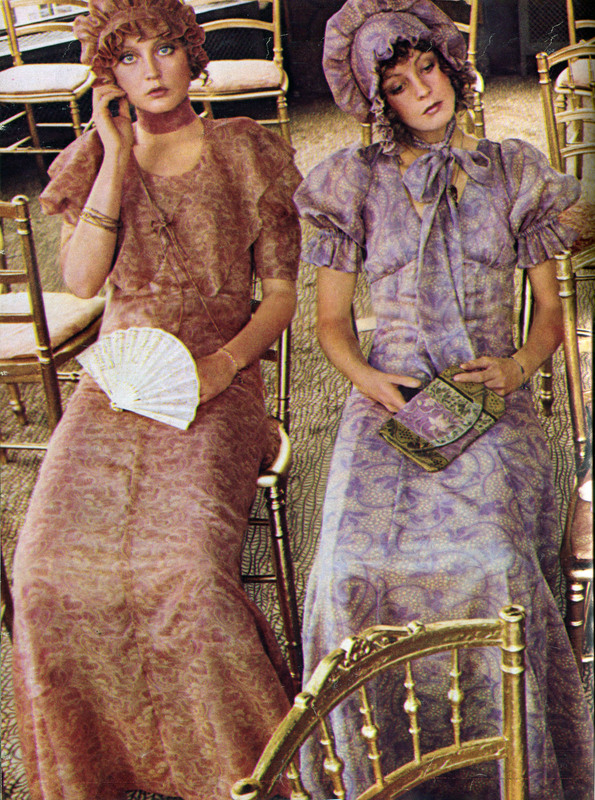 The beautiful photography is by Sarah Moon. 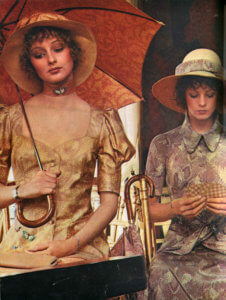 It is from my personal magazine collection that I had stored away and had to dig to find! 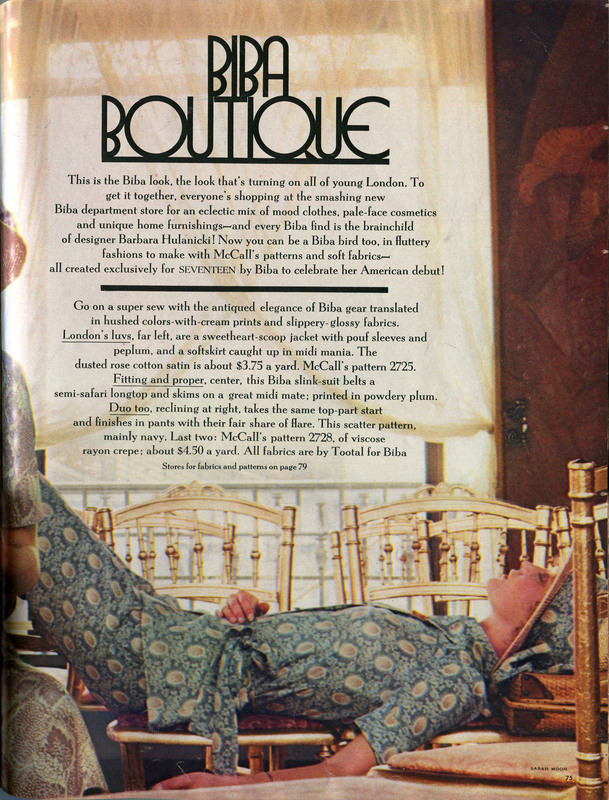 I’m glad I saved this issue as I never saw Biba mentioned again in any of my Seventeen magazines. 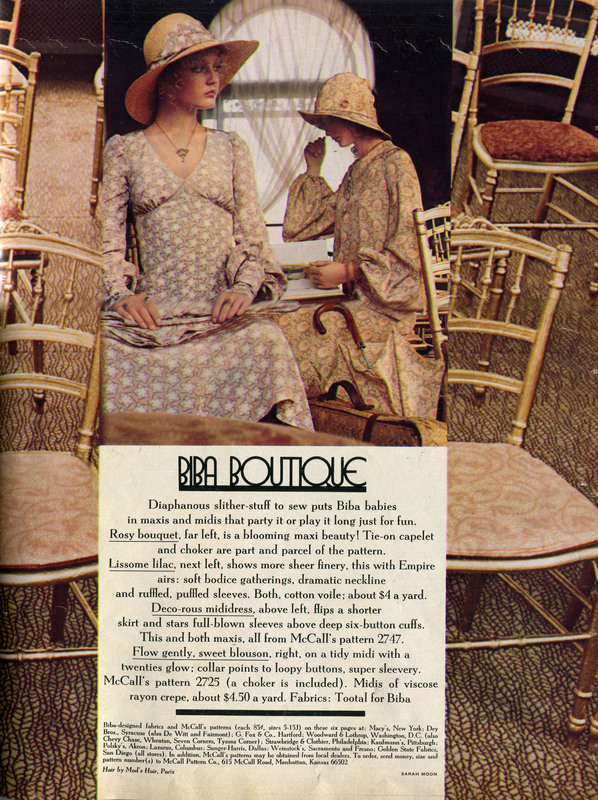 I would love to find any of the patterns listed, as well as the 1971 McCall’s in-store pattern catalog that featured the Biba designs. 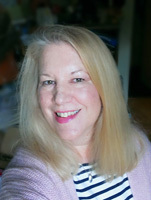 I’ll keep looking!